Who would you guess wakes up more frequently at night because of stress and anxiety? Adults who are young, middle aged, or old? What the Sleepless Nights survey tells us about middle-of-the-night awakeners, together with a dash of commentary and advice. According to a recent survey of 1,000 adults in the United States, the youngest adults lead the pack, with 46% of the 18- to 24-year-olds reporting stress-related wake-ups at night. Does this surprise you? Maybe so and maybe not. But data can sometimes contradict expectations. Following are a few more findings taken from the Sleepless Nights survey conducted October 19 by OnePoll,* an online market research firm, together with a dash of commentary and advice. It’s not unusual to wake up once or even a few times during the night. In fact, in the OnePoll survey, less than 1% of the respondents reported never waking up at night. But having lots of nighttime awakenings is a problem. It’s a symptom of sleep maintenance insomnia. You might think the total amount of sleep you get is actually more important than the number of wake-ups you experience. But this isn’t true. Sleep interrupted by frequent wake-ups is not as restorative as the same amount of sleep gotten all at one time, according to a study published in the November issue of Sleep. People who sleep in fits and starts miss out on a significant amount of deep sleep, the study shows. They report feeling unrefreshed in the morning, and waking up in a bad mood. In addition to waking up in the middle of the night, 39% of the respondents in the OnePoll survey reported feeling exhausted on awakening in the morning—and this complaint was more frequent among the young and middle-aged than in adults 55 and older. This suggests that quite a few Americans aren’t getting the amount or type of sleep we need. About 74% of the respondents reported that one reason for their middle-of-the-night wake-ups was the need to go to the bathroom. This is not surprising given the ages of the respondents (43% were 55 and older). But not only does having to void several times at night decrease sleep quality. It also puts you at greater risk for developing chronic insomnia. So if your nighttime wake-ups are due to an overactive bladder, have a look at the blog I wrote last December on ways to cut down on the need for bathroom calls at night. Also, a few preliminary studies I’ve seen in the past year suggest that supplements containing pumpkin seed extract, alone or in combination with soy isoflavones, may reduce symptoms of overactive bladder. If you’re game to try the pumpkin seed extract/soy isoflavone supplements, keep in mind that like most plant-based medicines, they may need to be taken a few weeks before you notice effects. About 36% of the respondents reported usually waking up in the middle of the night because they were too hot, and about 19% reported awakening because they were too cold. Some of this may have to do with changes in core body temperature at night. From a high in the evening, your temperature falls by about 1.5 degrees Fahrenheit during the night, bottoming out a few hours before wake-up time and then rapidly rising again. No wonder that during the first part of the night you’re piling the covers on and in the last part, throwing them off. Especially if you tend to sleep hot, my blog on tips for overheated sleepers may help. Pressure to get into a good college, find the right job, land securely among the “haves” rather than the “have-nots” at a time when in the United States the haves and have-nots are growing farther and farther apart . . . Is young adulthood more stressful now than in times past? * Results of this poll, which I accessed on 12/4/2015, are no longer available online. Use the contact form on the menu bar if you’d like me to send you a copy. 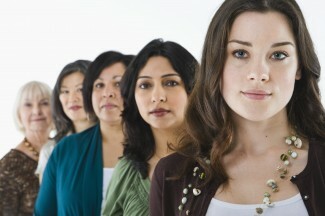 ** Only 37 adults aged 18 to 24 participated in the survey, so the findings on young adults may not be very reliable. 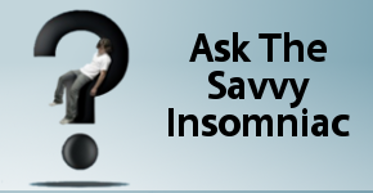 Yet other research has shown at least that the number of young adults who experience insomnia is actually quite high. It really helps clarify things for me to see this breakdown of causes for sleep interruptions, as well as how they play out over the age ranges. 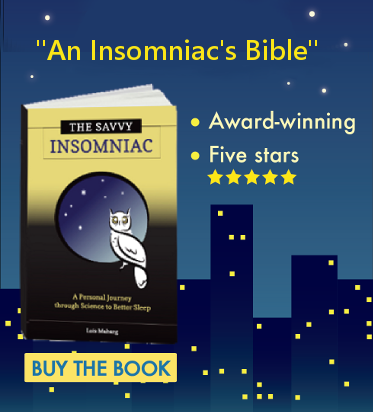 It is true that many insomniacs putting too much focus on the amount of the sleep they are getting and overlook or underestimate the effects of night awakening and its frequency. Quantity must go with quality..the same old rule. This post is beneficial to the sufferer because if you don’t know what makes you wake up in the night…how do you overcome it? Identify the cause and attack it with the right action. Thanks, West, I’m glad you enjoyed the post.